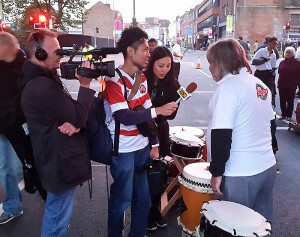 CCS Taiko played on Sunday evening under the bridge in Kingsholm as part of the pre-match entertainment for the Japan vs USA match. 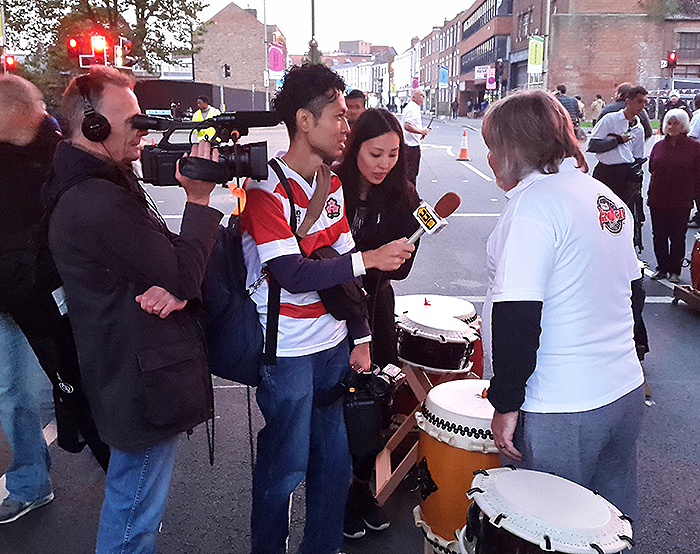 We played for 1 hour and stopped for photographs, meeting all the supporters and even a television interview for Japan TV. We had huge crowds and were extremely well received by both Japan and USA Supporters. It was an honour to have been involved in the World Cup in our home city. 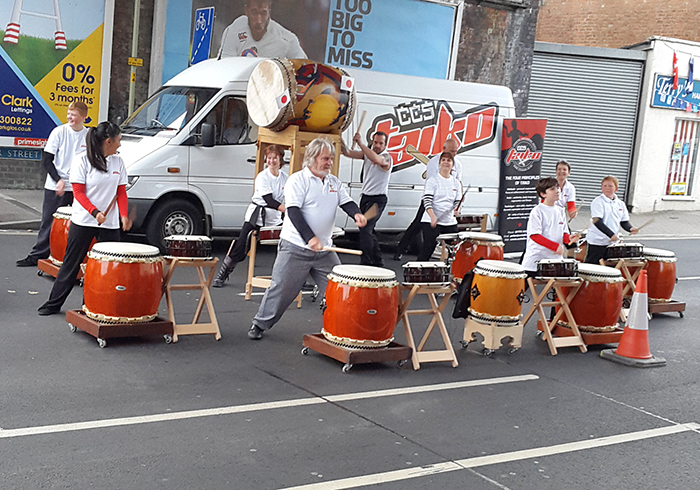 Taiko and Rugby….what a great match! What a shame Japan, even with their 28-18 win, are out of the tournament, but as hosts for World Cup 2019 Japan will again prove there will be some fantastic rugby to be seen.